I missed that whole Panic! At the Disco wave back in the day, they just felt too similar to so many other acts out there at the time. But to see them still kicking around and putting out music has been a bit of a surprise. Now, I could be wrong but their current iteration of music feels far less emo than I remember them being. 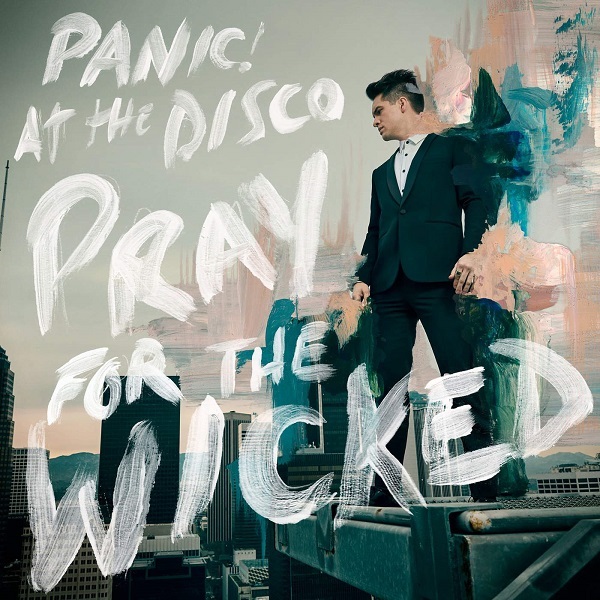 Everything on Pray For The Wicked is bright, upbeat, and bouncy; it’s almost entirely made up of anthems. At times it can definitely be a bit obnoxious, but, it admittedly has a certain ear worm quality that you can’t help but bop to. But that’s about it because beneath the bright, brash surface full of blaring horns and sharp strings there’s not much to it all. Radio-friendly pop that’s good for a listen or two but won’t keep me coming back for more or get me excited for anything new from them in the future. Have you heard Pray For The Wicked? What’d you think about it? Are you still a fan of Panic! At the Disco? Let me know in the comments below and be sure to leave your own ratings and reactions for the album. Panic! At the Disco's latest is all radio-friendly pop that's good for a listen or two but won't keep me coming back for more or get me excited for anything new from them in the future.